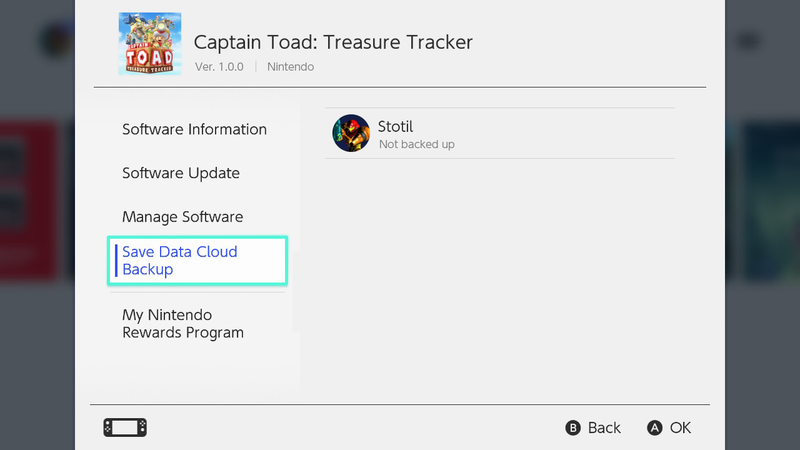 PSA: Switch Online doesn’t create backup saves for games automatically. PSA: Switch Online doesn’t create backup saves for games automatically. You have to manually initiate the process by either loading the game or going into its settings by hovering over top of its icon and clicking “+”. Only afterward doing that will the backup saves stay updated automatically.